The 2016 FAI Mediation Rules are now available in Russian language. In this way, the 2016 FAI Mediation Rules are available in three languages: English, Finnish and Russian. The FAI would like to thank Roman Zykov and Natalia Malgina for their dedicated contributions to the Russian translation of the Rules. 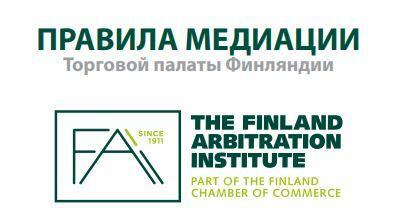 See the Russian translation of the 2016 FAI Mediation Rules here.